"Windelbands work isdeservedlyone of the great classics on the subject; it is worth reading, not only as a superlative history, but also as a philosophic work of stature in its own right ... 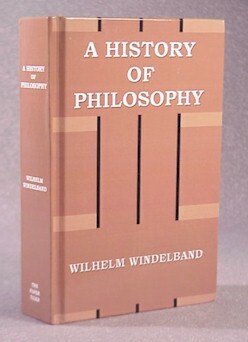 If it is possible to acquire a truly profound understanding of the inner logic of the history of philosophy by reading just one book, then, to my knowledge, that one book would be Windelbands History." and see how to order this title at a substantial discount.